n.b. 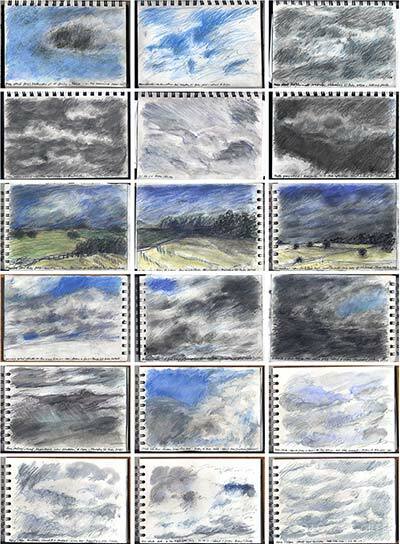 all of these sketches are all 14cm x 20cm. 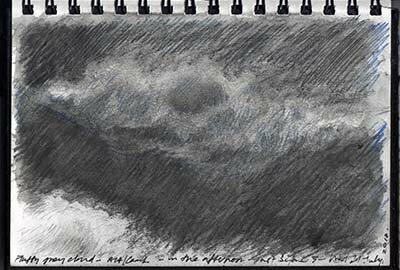 another dark grey cloud – perhaps these incidental smudgings of graphite add a little life to the process..
for some contextual reference it would be churlish not to mention suffolk-born artist john constable, and also jmw turner, for their studies and sketches of skies and clouds. 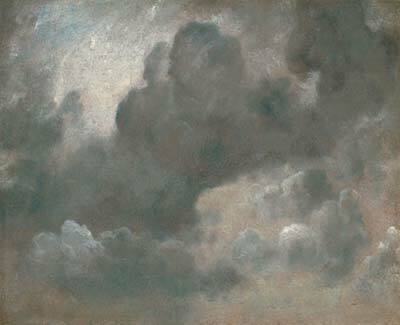 constable and turner were contemporaries, born only a year apart, with perhaps some professional rivalry if not open hostility towards one another at the time. 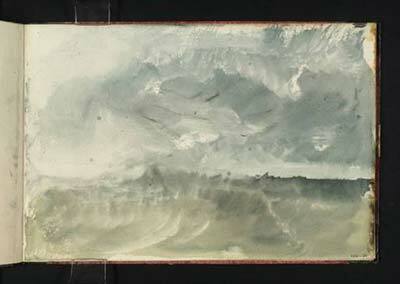 three of the sky studies below are from the period 1822-23… perhaps the industrial, revolutionary smogs of those times made the turbulent skies into art…? 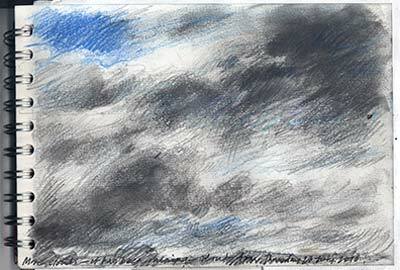 what is most interesting in constable’s cloud studies is how they give an insight into his process. his often detailed annotations referring to time and place offer some evidence of the influence of advances in science during the age of enlightenment, although i am sure that romantic painters such as constable would have been a little sceptical. 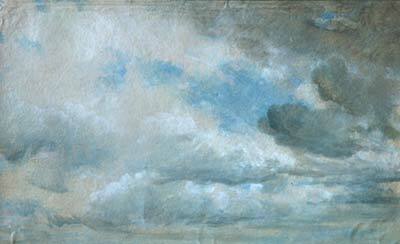 constable is undoubtedly the better painter of real skies but turner captures the essential, intangible beauty of the ethereal elements. 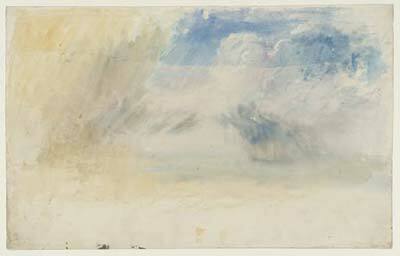 turner seems to delight in the deft touch, the merest suggestion of colour in atmospheric movement, of a fresh breeze or a sea mist rising. this is meteorology without the boring science bit. 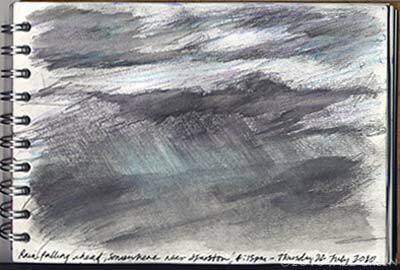 these are not absolute recordings but sensory responses and turner’s later paintings always remind me that less is often more. on: Saturday 24 July 2010 by jazzgreen. What do you think to the work of Lewis Noble? 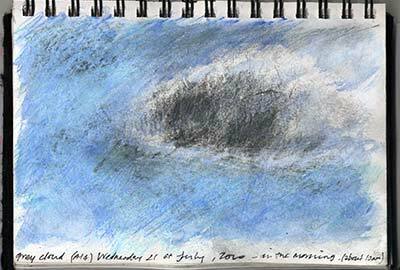 thank you for that charles – have to admit i did not know his work but now having just googled and viewed his website i can see the connection to jmw turner. very expressive, energetic, spirited, out in the elements – and clearly a very prolific (and successful) artist too. i like some of the pieces on rough card or is it paper? 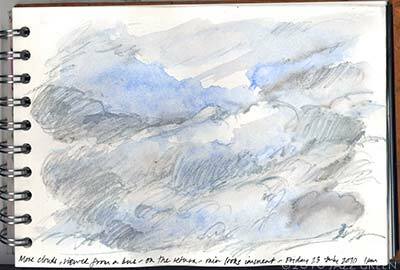 ‘Exchange is no robbery’ as they say (well, they say it up here in the grim North) – I hadn’t come across kurt jackson before! I too like the energy and dynamism in such painters, the image almost becomes visual ‘noise’ that is discordant (Im a visual and aural person) so for me it represents the sublime and chaotic side of nature, towards dissolution. If you don’t mind me opening some ideas up for discussion, my teacher mentioned that he thought that ‘people dont care much for painting anymore’ in a kind of mournful way, as he himself is an abstract painter with an interest in hard-eged geometric stuff. I wonder what the current art world and others think of this statement? 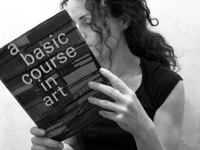 painting is dead, long live painting! wow, it’s a big subject “painting” but what i will briefly say is that the printing press (gutenberg onwards..) did not kill painting, nor did photography in the 1840s, in fact a big influence on impressionists… neither has conceptual art, the pool has just got bigger and the big fish (the sharks!) tend to make the most ripples on the surface..
on comparing painting to photography over the last five years… more people are consistently searching for photography than painting, but within the news/media coverage painting always peaks above photography – stories such as stolen/found masterpieces, record sales at auction….. photography doesn’t make such headlines, the exception perhaps being ansel adams at the moment!